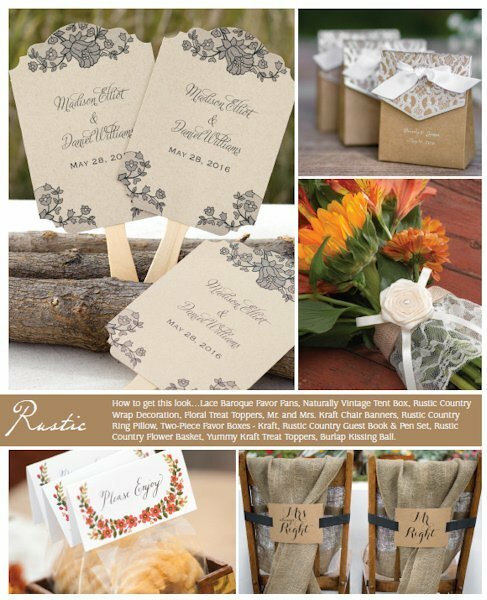 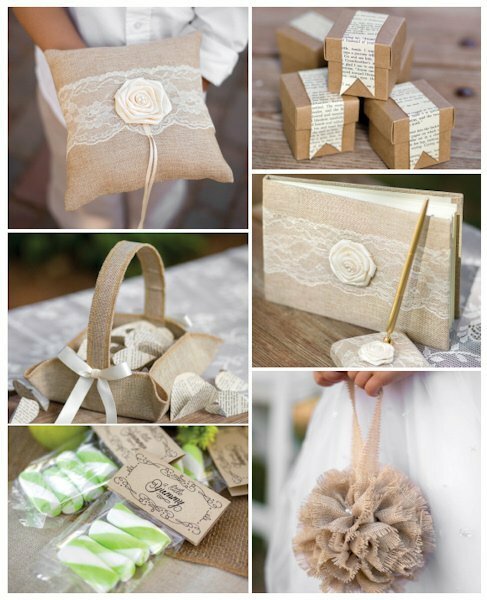 Send a little piece of your rustic country style home with the lucky guy who wins the garter toss! This two piece set includes a romantic keepsake garter and a more simple option for tossing. 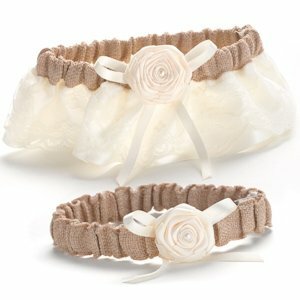 Sized to fit most brides, both garters are wrapped in natural burlap with an ivory satin bow and ivory rosette with center pearl accent. 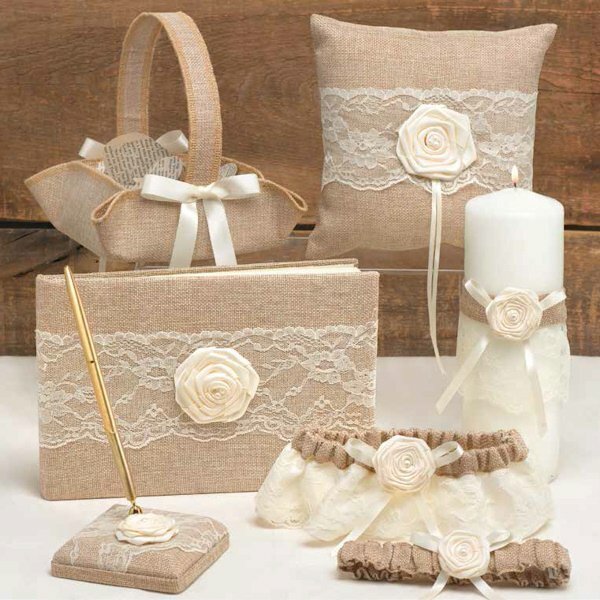 The keepsake garter adds a wide band of ivory lace at the bottom.